Virtual Tour EXCEPTIONAL VINTAGE CHARM BRIGHT & SUNNY OFFERS RENOVATION FOR TODAY'S LIFESTYLE! PRIME LOCATION WALK TO BLUE RIBBON LANE SCHOOL & NEW HMS, TRAIN, LIBRARY & SHOPS. NEWER AMENITIES:(80k IN IMPROVEMENTS) KIT W/CUSTOM CABINETRY, GRANITE COUNTER TOPS, NEW BOSCH DISHWASHER & GARBAGE DISPOSAL. NEW CARPETING IN BASEMENT 17', BATHS UPGRADED, REFINISHED HRDWD FLOORS, CROWN MOLDINGS, ELECTRIC, PLUMBING, PELLA WINDOWS, AC-14', FURNACE-13', HOT WATER HEATER & SUMP PUMP, ROOF 03', NEW SEWER SYSTEM 17', GUTTERS, CEDAR SIDING 06', EXTERIOR FRONT SHUTTERS, CHIMNEY RESTORED & REPLACED CAPS. ROLLING LANDSCAPERS PROFESSIONALLY LANDSCAPED FRONT/BACK WITH PAVER BRICK WALKWAY/PATIO. TOP TO BOTTOM RENOVATION, NOTHING TO DO!! TURN KEY! I was searching on Blue Fence and found this listing. 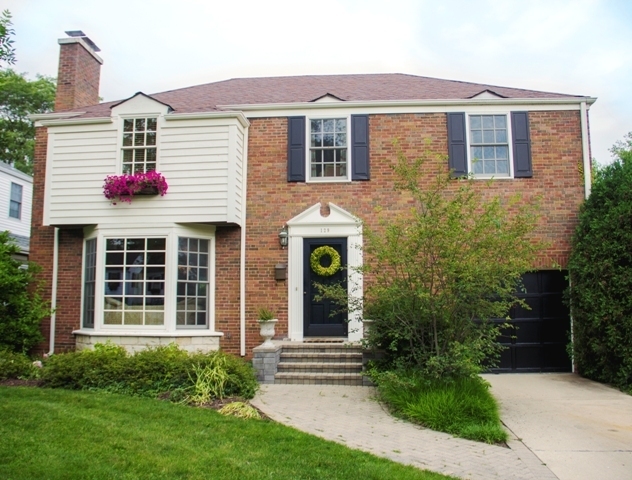 Please send me more information about 129 The Lane , Hinsdale, Illinois 60521. Thank you.